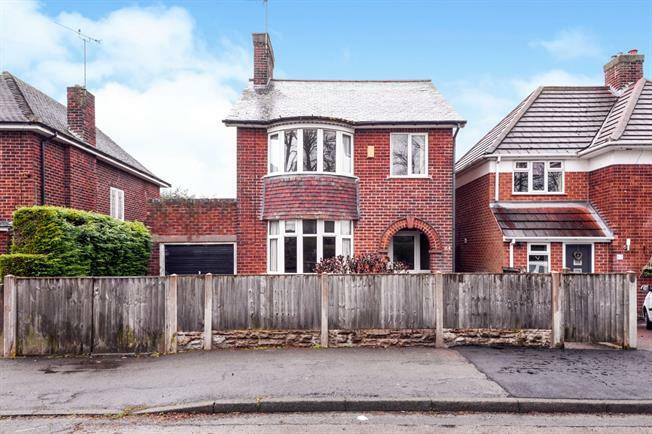 3 Bedroom Detached House For Sale in Nottingham for Offers Over £230,000. Traditional three bedroom detached house on the popular Park Drive available with no upward chain. The property offers fantastic potential to make a brilliant family home. The accommodation briefly comprises of entrance hall, large bay fronted lounge, separate dining room and kitchen. To the first floor are the three bedrooms and bathroom. Outside the property to the front is an enclosed garden and driveway giving access to the garage. At the rear is the enclosed large garden which is mainly laid to lawn and has a private feel to it. The plot offers great potential for extensions (subject to planning permissions).